You’ve certainly caught my attention from the title alone, and I have to say I really like what I’ve seen so far! Feedback in summary because of length. You realize that all may well include a portion of the supplies earmarked for your own use. “All” isn’t mentioned in the militia woman’s part of the dialogue. Maybe “get all those crates”? I assume he says that to the player, but it’s a bit confusing as it could also easily be seen as him whispering that into the monk’s ear. Duncan, the larger of the guards, draws the thin woman’s attention to your presence. Duncan’s name is only revealed to the MC if you don’t pass the skill check to enter the tannery. If you did pass it, the MC just magically knows Duncan’s name at this point. Malle emits a scornful chuckle. lead to the player just magically knowing her name in these two scenarios. rational answer. Plus there seem to be a bit more choices to decrease the ruthless stat than to increase it. Also, I feel like if you want to increase your ruthless stat you either have to pick mean or rational choices. With the latter having just as good of a chance to decrease ruthless (or increase med_principles). I wrestle him to the ground, confident Lucia will back me up. No problem with this one per se, I just found this choice endlessly amusing. Imagine having a normal conversation with someone and suddenly suplexing them to the ground …Is the image I had in my head anyway. Though come to think of it, wouldn’t it make more sense to use intimidation here instead of physical force? Seems a bit strange to me to resort to outright violence at this point. Maybe a bit of physical intimidation if not a verbal one, but not going so far as actually fighting and killing the man. Or, if killing him should be an option, it should be alluded to in the choice itself. I also second more neutral/indifferent responses for the MC. My MC just wants to cure this plague and (mostly) has no interest in partaking in any politics or quarrels or taking sides. I definitely think the stats screen needs to be changed, so the explanation of the talents is always visible. I’d like to constantly have an option to be noncommittal or maintain a ‘neutral as all hell’ attitude - the MC’s here for Science, doesn’t care about politics, doesn’t care about human welfare or any such distractions. To add onto Pheriannath’s comment, I like the horse and rabbit interactions. If there was always an option to be neutral, either verbally or by just going up and touching the nearest animal available, I’d like that. Another nice little touch was the comment’s that Lucian made about our choice of mask. I only have experienced the Crow mask, but I can’t wait to see the other examples! We’re a plague doctor. Politics is not our area of expertise and I’d prefer having the option to not stick our masked noses into that sphere. Great work so far! I’d just like to see more options to be neutral in the future. ATM I feel like I’m preemptively committing to one side over the other and locking in my alignment way too early into the game. Pathologic is one of those games I’ve always meant to make time to play (I love other Ice-Pick Lodge stuff like The Void) - it was definitely in the back of my mind when pitching this. This. It’s so damn cool to just to utterly disregard whatever ultimatum my doctor is being given and just play with the nearest fuzzy friend available in response. I also really digged the creepy slowly pointing to your plague mask at the start. Generally I’d personally appreciate more creepy or stoic responses from the MC as they fit very well with my MC’s personality. A completely detached veteran barber-surgeon (with some higher medical knowledge from private studies) whose seen everything and solely cares about stopping another pandemic in their lifelong crusade against disease, by whatever means necessary. He also really likes creeping people out with his crow mask, options to wear it at inappropriate times would be both hilarious and great. Perhaps even refusing to ever take it off if possible? oh yeah! I forgot about the pointing at your mask option! That was a really good one too! I really enjoyed being a plague doctor, and how you have to juggle all these conflicting factions as you try to find the the source of the plague. When the soldier first comes up to you asking for your help, I kind of wished there was an option for “I just got under this canopy, and now you want me to leave? !” or something like that, since you did mention in the narration about wanting to get out of the rain, and I didn’t really want to help the soldier right then. When I chose the option “Well, where do you think I’d be of most use?” I thought they were just going to tell me what they thought, not actually choose it for me. The same for “What’s your recommendation, Aylwin?”. Also, one minor thing, but I think it might look better if you capitalize the mask description (where it says Mask: crow) and your gender (Gender: female) in the stats screen since that’s how everything else starts in the stats. I look forward to finding the cure! I’m currently playing the wip as I type this but first impressions: good selection of masks, I like that wolf is already in the options! Lots more to respond to! First, apologies if I don’t refer to you by name. I am reading all of these comments, and if it’s granular stuff like “hey, it’s not 100% clear who’s speaking in this scene” then just know that I am checking those out and making changes where necessary. Okay, bigger picture things. @Bugreporter and everybody who has asked for the talent summaries to always remain visible - I will make that change for the next update. I’ll include permanent summaries for the personality types too. @Carlos.R Oh man. You know, I’ve got to say I like the concept of there being multiple ‘correct’ sources/reasons for the plague (and I did come up with a few alternatives while developing an outline). But the amount that would increase the scope of the game … I’m not sure I’m ready for that! What I can say is this (quite spoilery regarding future events): There will be a few ways to ‘cure’ the plague, one of which will be supernatural in nature. It’s also unlikely that one play-through will reveal the entire story of the plague’s source. And I may leave some lingering doubts - certainly I plan for some characters to believe the plague is actually man-made. More noncommittal and/or science-focused dialogue/choices. Quite a few of you have asked for this, so I should clearly take that into account! As well as adding some new choices or altering the tone of some existing ones, I’m starting to think I could cater to this style by adding an “unaffiliated” or “medical purist” faction or something similar. It could reflect the PC trying to avoid political intrigues wherever possible. To that, I would add the caveat that Thornback Hollow is a powder keg. If you refuse to get involved with what is happening (on any side), then events that people who committed to a specific faction will be able to guide may just overtake you. However, opting out of those activities would give you more chance to study the plague’s origin etc. @Malvastor and others who mentioned the (current) final scene with the Mayor’s request. If/when you discover that the Mayor is maybe possibly up to no good, you will be able to use that information against her with a higher feudal authority. This will be possible even if you promised to ignore the rumours. At the cost of her approval, obviously. I’m glad people are enjoying the animal interactions. There will be more. Ooh, one other thing. It sounds as if I should include a skippable prologue section with a little bit of world/realm backstory. I think that would be a good place to spell out what the traditions with the plague doctor masks are in this world, and how they differ slightly from our own history and expectations. If you refuse to get involved with what is happening (on any side), then events that people who committed to a specific faction will be able to guide may just overtake you. However, opting out of those activities would give you more chance to study the plague’s origin etc. Feels like a fair trade off! Glad to hear more animal interactions in the future! Oh man. You know, I’ve got to say I like the concept of there being multiple ‘correct’ sources/reasons for the plague (and I did come up with a few alternatives while developing an outline). But the amount that would increase the scope of the game … I’m not sure I’m ready for that! Yeah, one of the things I loved about Pathologic (haven’t played it but have read Lets Plays) is that all three characters are working with wildly different theories of the plague and each of them is working on the only possible true cure while the others fumble around blundering into being helpful by accident. It took a lot of work, clearly, but it manages to have three completely different stories with the same characters in the same situation. Perfect. I do want the politics of the town to be relevant, even critical, but I also want to be able to specifically only care about them insofar as they disrupt plague control. Because when we got to the mayor’s house, insulated from the ravages of the plague by her wealth, my immediate impulse was to start quoting from the Masque Of The Red Death and/or telling her the Pale Rider can’t be paid off. Speaking of which there should be a plague god for devout plague doctors to reference. As for the mayor’s request, what I’m looking for is an option to give a non-answer. I don’t want to make a promise I might not keep and I don’t know if her secret is that she’s skimming Crown taxes (don’t care), or that she’s illegally overtaxing the people (care, not sure what I can do), or that she’s deliberately spreading the plague (she dies), or she’s secretly a serial killer and there’s a mass grave with over a hundred peasants (Crown’s Justice). So I’m not going to want to say anything one way or the other until I do know. I need her militia so I don’t want to antagonize her pointlessly but I also want the tanners to tell me who got sick first and where so I don’t want to outright side with her. I might’ve seen a documentry about Eyam, or maybe another village that self-quarantined. Pretty memorable. Also it and all the other stories of bubonic plague heavily informed my initial playthrough; the plague doctors know Thornback Hollow could end up like Eyam even if the inhabitants don’t. So I find the politics interesting in this context only insofar as they determine what it’ll take to get said quarantine. Also I want food properly rationed on a nutritional need basis and I want to repossess the mayor’s house to serve as a hospital but I don’t see an actionable plan to make that happen so far. Aside from a guild revolt, but I don’t exactly want a bunch of people from the district the plague started in marching all over the city. Subject to change as the situation deteriorates further. So that’s broadly what I’m looking for; the ability to interact with the politics solely as a strategic decision. And my default decision is declared neutrality; if I can swing it I want to be able to walk up to any faction, request any plague-related assistance, and get it because I’m a plague doctor and everyone knows I’m just here to cure the plague. So far that hasn’t worked but I’m not going to give it up just yet. Maybe the faction leaders will take the plague more seriously when they have it. I assume that’s going to happen at some point at this rate. Also, sidenote, I would love a game where I play the guildmaster under these circumstances and the politics take center stage. Then in the choice where a pair of plague doctors have shown up and want to examine the tannery I toss them my entire keyring and tell them to have at it. And I 100% don’t insist on watching them and sternly order everyone to stay the hell away from the tannery until the plague doctors declare it safe. Speaking of that scene, it could do with some clarification of what she’s worried you might do in there if you aren’t watched. It’s shut down so I wouldn’t expect there’s much to steal or inadvertently damage; there’s maybe tools that cost a fair bit from her perspective but not a lot to us (I assume) and anyways where the hell are we going to fence tannery gear we stole from the tanner’s guild? They’re a guild; that’s basically a proto-labor-union and theoretically represents all tanners in town. Is there also an organized crime ring backing unlicensed tanners or something? It could also just be paranoia born of bitter experience, but my initial impression of the guild was that they were just really dumb and/or not taking the plague any more seriously than the mayor. If she’d let us in right away and came in to answer any questions we might have about the tannery layout or who worked where I’d have been a lot more sympathetic. 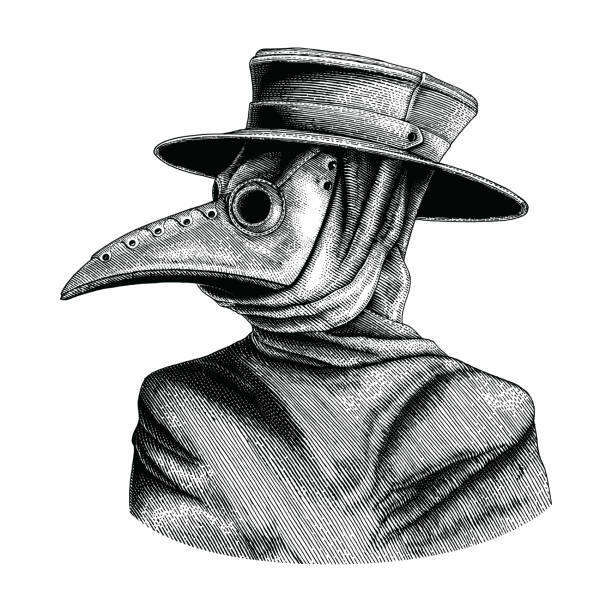 Again, no promises I might not keep, but I could at least say I’d tell the Crown the overcrowded and unsanitary conditions contributed to the spread of the plague and I will officially recommend they do something about it in my capacity as plague doctor. Oh, also I’d like the ending (assuming success, at least) to have a “debriefing” section where you can do that sort of thing. A chance to take a swing at the issues I’d filed under “not important during ongoing plague outbreak”. And the ability to make promises about it at any point (with consequences if you make contradictory promises and people find out). -A famous plague doctor who gave medical advice against the Black Death plague as preventative measures was Nostradamus. He advised to drink only boiled water, use only clean bed linens, and to leave an area as soon as possible that was believed to be infected with the Black Death. -Paracelsus was a famous medieval plague doctor. The Italian city of Pavia in 1479 contracted Giovanni de Ventura as a community plague doctor. The Irish physician, Niall Ó Glacáin earned deep respect in Spain, France and Italy for his bravery in treating numerous victims of the plague. Give a strong dose of laxatives–This would cause the victim to completely empty his bowels, thus removing the disease. I, the absolute authority on communicable diseases in this town, am here to help you with your Plague problem. Hinder me at your peril. Your other problems are your own. Ideally I’d like to be able to respond to any irrelevant pleas or demands by keeping a creepy silence and a hard, heavy-as-lead stare at the other party with my beady crow eyes. But I’ll take any alternative that lets the MC remain neutral or committed to Science. I will ask a question that I think I know the answer. Could we use the plague as a way to stolen precious goods that are supposed tainted? I know most people here come from cultures were plague doctors were well considered. I come from all contrary. I come from a culture that seem them as vultures. Heretic alchemists that lead cities to be burned and destroyed. Almost like angels of apocalypse. There were lot of times accused of steal and make fortune from objects they say are to be quarantined . And ended in the plague doctor pockets. I understand this game is written with the perspective of the good selfless doctor that only wants stop plague to cure people. However a ruthless character would remember that they live don’t stop in this mission. And needs money and power. So of course will try to cure the plague to gaining crown privileges. But will use any opportunity to acquire stuff in the city. No, no, we’re descended from cultures where plague doctors were at best feared. The outfit connotates death; the Black Death most of all. If the plague doctor comes to a house someone in that house is dead, even if they’re still breathing right now. Obey the plague doctor, stay away from the plague doctor if you can, and maybe you won’t join them. Mysteries Of Baroque is pretty much dead on for my plague doctor expectations. My cultural reference for my perspective when playing a plague doctor isn’t that, though; it’s a couple people in blue plastic suits that say CDC. The situation is dire or they wouldn’t be here, but they are here to help. And they’re probably not going to order your workplace torched but if they do hand them some gasoline because you don’t want to ever go in there again. They don’t do that because we currently have the technology to sterilize a building completely, but even so no one wanted to set foot in the site of the first Reston ebolavirus outbreak. Well, bear in mind you aren’t working for the mayor. You’re working for the Crown. Mayor can’t give you a title of nobility; that comes from the Crown and the baron makes the recommendation. The Crown wants you to cure the plague here, probably before it kills all the tanners because then the town won’t sell leather anymore. You sacrifice them to save some random mayor with no noble title and no particular importance and the Crown will not be impressed. Also the baron probably expects you to catch the plague and die and he’s just doing this because it’s his legal duty.